When it comes to looking our best at the beach, strong winds, waves, and searing sunshine don’t exactly help our cause. With soaring temperatures, an au naturel face is the optimal beauty staple – especially when you’re planning on spending the day surfside – but that doesn’t mean you have to bare all. You can easily achieve a bronzed, carefree, beach-ready look that doesn’t require tonnes of touch-ups and won’t melt off in the sun. On the other hand, no one wants to be that girl at the beach with an obvious full face of makeup on, and on the beach up against the elements, your everyday makeup just won’t cut it. Wearing waterproof mascara to the beach might seem like a no-brainer, but it’s important to select the right one. 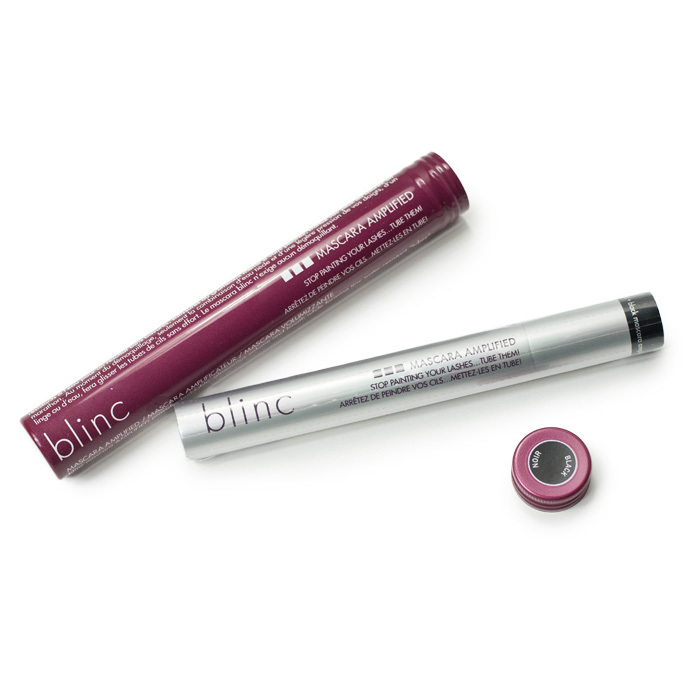 With a decade of research behind its development, Blinc Mascara Amplified utilises a unique formula which forms tiny tubes around your lashes. Unlike traditional oil-based mascaras, the formula doesn’t absorb, which means it has the power to last 2-3 times longer and won’t run, smudge, or flake – water-resistant and perfect for going from day to night without any removal or touch-ups required. With sunshine comes heat, sweat, and the need for something to keep makeup on lockdown – the beach is not the place for reapplying. When constructing the perfect beach look it’s important to start with a strong base, so sweep a coat of this high-performance primer across skin to keep makeup from slipping and disappearing altogether. Lightweight and non-greasy, the silky formula perfectly primes skin whilst simultaneously providing SPF coverage and antioxidant protection – vital when skin is set to be exposed to sun’s harmful rays. Foundation is a bit of a no-no at the beach, but if your skin has imperfections in need of concealing, avoid regular liquid foundation and instead opt for a powder formula. This will not only provide your skin with coverage, but also combat the inevitable oiliness that comes hand in hand with time spent in the sun. 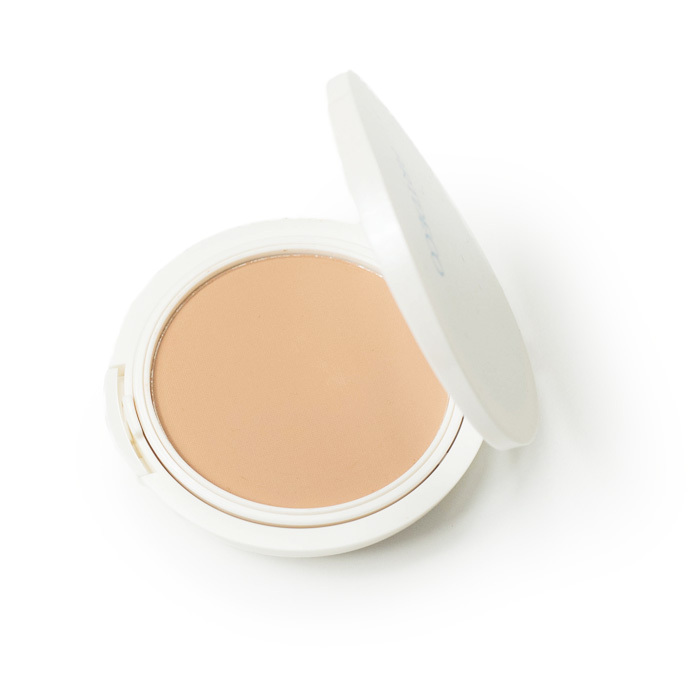 Meet the hardest working foundation on the market; this sheer powder keeps skin looking and feeling fresh and light, and boasts sufficient coverage to instantly even skintone, whilst being light enough to cope with hot temperatures and overzealous dancing, and providing lasting SPF coverage. Highlighter is great for achieving covetable glowy skin, but in hot weather, anything too glittery is going to slide off almost instantly. Instead of powders, look for sheer, creamy textures which blend better than powders, have stronger staying powder, and won’t look too harsh in sunlight. RMS Beauty’s Living Luminizer harnesses some of nature’s most radiant glow-getters to deliver a translucent finish – more dewy than glittery – plus the all-natural formula won’t feel heavy or cloying on the skin. Whilst au naturel may be the look of choice beach-side, if you’re heading to a pool party you may want to up the ante a little. 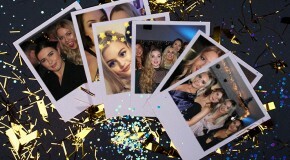 After all, make up is there to have fun with! 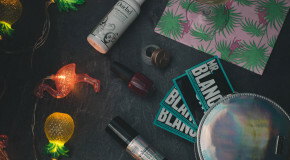 Whether you’re Marbella bound or set for Ibiza, pool party makeup calls for bold colours in budge proof formulas for stay-all-day effortless glam: think festival beauty with a tropical twist. 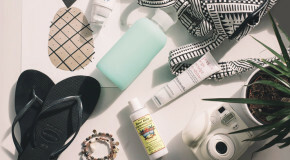 For obvious reasons, chlorine-laden water and scorching temperatures aren’t exactly condusive to a flawless look, but with the right formulas and a little clever styling you can look flawless pool-side. 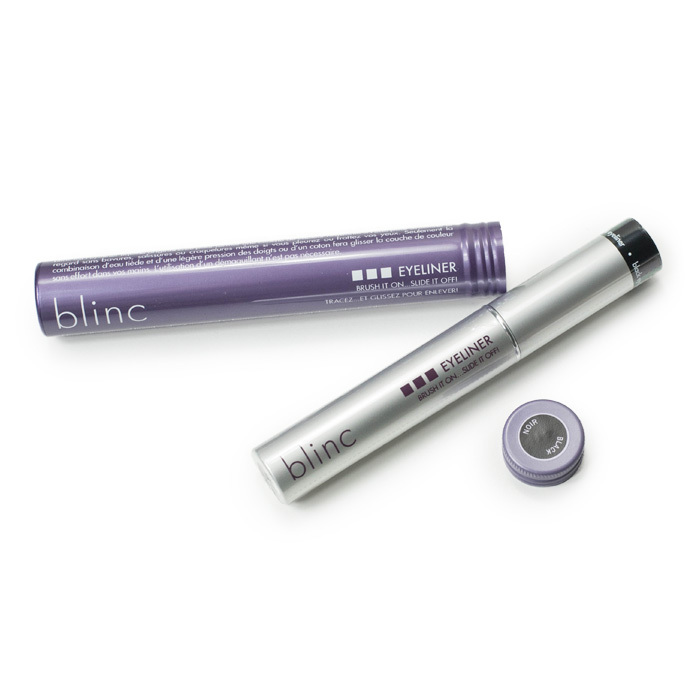 Blinc’s expertise in long-wearing makeup shines through again in this incredible eyeliner. Utilising a blend of ingredients, the liquid gives exceptional colour payoff which stays put on the skin. Water resistent, smudge-proof and even invincible on oily lids, it’s a must have for pool-side activities. Suitable for even sensitive eyes, the colour stays put until you choose to remove it with a combination of warm water and gentle pressure. Any form of party requires long, fliratious lashes – Stila’s waterproof formula volumises, lengthens and separates lashes for a flawless flutter. Water-proof, smudge resistant and generally budge proof, it’ll survive the heat, sweat and water effortlessly, so you can concentrate on the music. As a general rule, gel and cream formulas tend to wear better in the humidity, as they melt into the skin rather than cake on the surface. 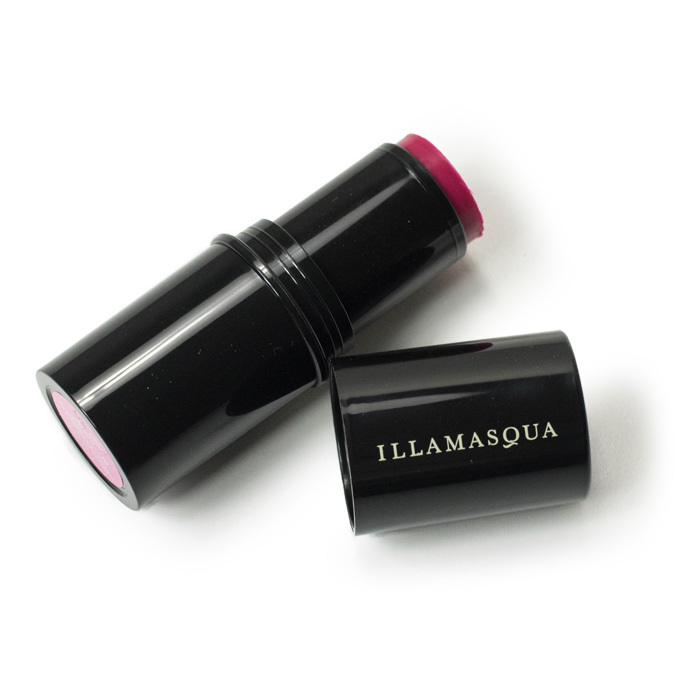 Illamasqua’s innovative Gel Colour gives a sheer flush of radiance to the complexion, which can be built upon for a stronger look or applied delicately for a gentle glow. Simply glide along the skin and blend with fingertips or a fluffy brush for stay-all-day colour. A pop of bright colour is the perfect finish to your pool-side style. Gerard Cosmetics’ bestselling Hydra Mattes give intense colour payoff for opaque coverage in one sweep, whilst the long wear formula remains picture perfect for hours. We’re obsessed with the orange-red tones of Mercury Rising – perfect for setting off a golden tan. If your biggest fear is losing your brows in the pool, then you need to try Anastasia Beverly Hills’ best selling Dipbrow Pomade. The silky cream glides over skin defining brows effortlessly, and can be worn bold or blended to a natural finish. 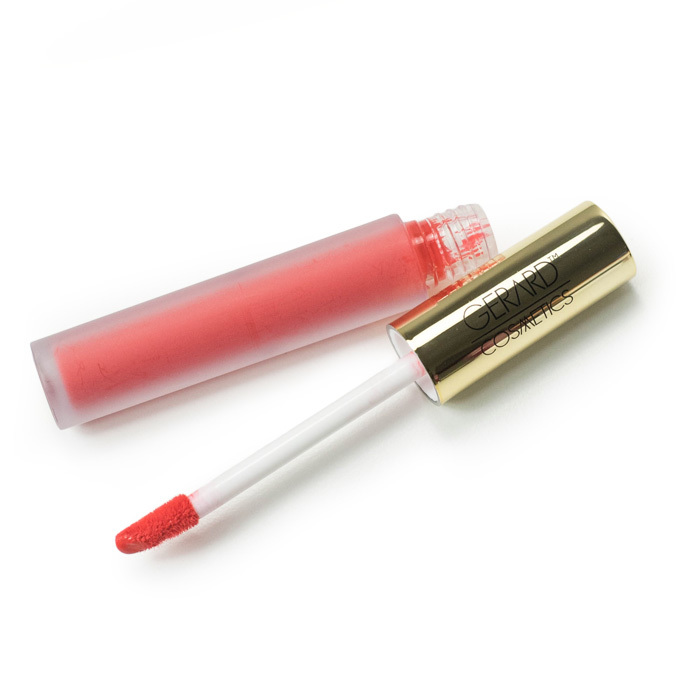 Once set, it’s totally budge proof and refuses to melt away, run or smudge.